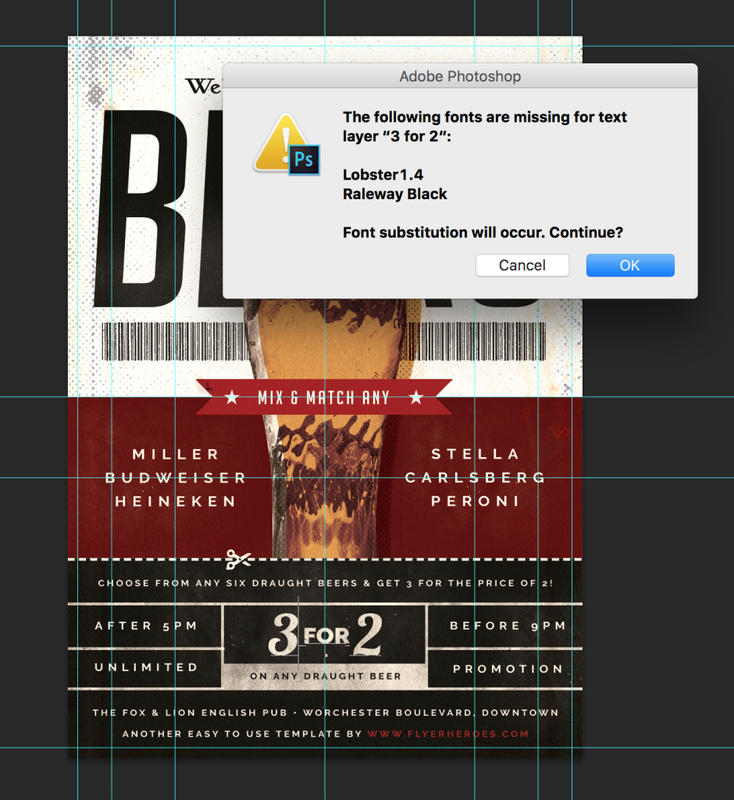 Sometimes you’ll see a “missing fonts” error when opening a template in Photoshop. This happens when the required fonts are not yet installed on your computer. Fixing this error simply requires that you install the required fonts. Tip: Click “Cancel” and install the required fonts. Where can I find the required fonts? Each template has the required fonts listed on the item page or in the Documentation folder included in the download. Alongside each of the required fonts will be a download link for non-system fonts.